A common theme in Sheryl Sandberg’s Lean In: Women, Work, and the Will to Lead, is the enormous capacity women have to underestimate their worth. Sandberg urges women to stay in the workforce, and to reach for leadership roles. She points out that in college, women keep stride with men. As the years advance, fewer and fewer women take the risks that move them into corner offices. She challenges the next generation to change that paradigm. This made me ask myself two questions: Have I inadvertently perpetuated the paradigm? And of so, what can I do to help the next generation. Then I experienced a humbling, aha-moment. I had perpetuated the paradigm, and there is something I can do to help the next generation. Earlier this summer I explored getting my doctorate. With a Master of Information Technology (IT) and years of experience, a doctorate would be the next logical step. I looked at the Fine Arts. I considered Psychology. But I did not think much about IT. Even with my education and experience, I didn’t believe I belonged. Ms. Sandberg’s book encouraged me to reconsider. Today’s women need role models in the technology and the sciences, and here I am, ready to walk away because I feel like an outsider. Instead of walking away, I decided to find out whether women already have sufficient role models in the Tech industry. First I checked out one US University’s IT department. Of 24 staff members, five were women, and none were full professors. I also met with a Professor from my IT Graduate work, who confirmed that few women are Professors of IT. Women make up more than 50% of the population, yet Gigaom.com research indicates that women hold roughly 25% of tech company leadership positions (range 19%-28%) and even fewer technical positions (range 10%-24%). Clearly, there was a reason why I believed I didn’t fit in with the IT PhD crowd. Each day is challenging and interesting. Some people do crossword puzzles, other unscramble words. I love puzzling through a problem and getting the computer to consistently yield the correct answer. I get to play with cool gadgets (I love my flat mouse). When my work provides the right software or hardware solution, the customer’s life becomes a bit more manageable. It’s not all cubicle work. Some IT jobs require travel, marketing, and customer interaction. Providing IT Training gets me out of the office. Some people like to be part of a large project; Others, like me, prefer to take a smaller project from the initial idea straight through to the final release. Both types of IT people are needed. Technical writing requires an appreciation of the customer experience. When you talk with technicians at Best Buy or Staples, you sound wicked smahht. The ability to adapt and to maintain positive relationships with customers and coworkers are sought-after IT soft skills. Every company, small or large, uses hardware, software, networks, and gadgets. You can consult, create, build, fix, help customers. The list grows daily. If you know an intelligent, articulate, hard-working women, please encourage her to reach for her dreams. If her dreams happen to include technology, then you might be looking at the next IT-Girl. 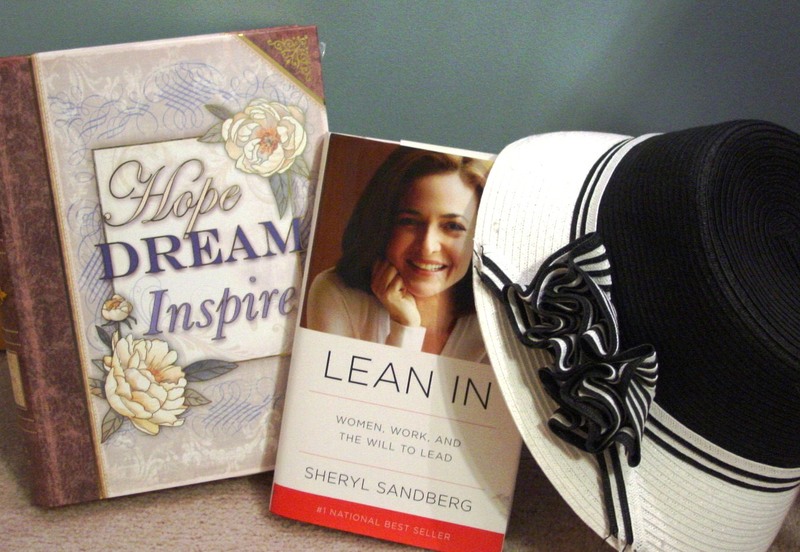 This entry was posted in Leadership, Self Confidence and tagged IT Career, Lean In, Sheryl Sandberg, Technology. Bookmark the permalink.